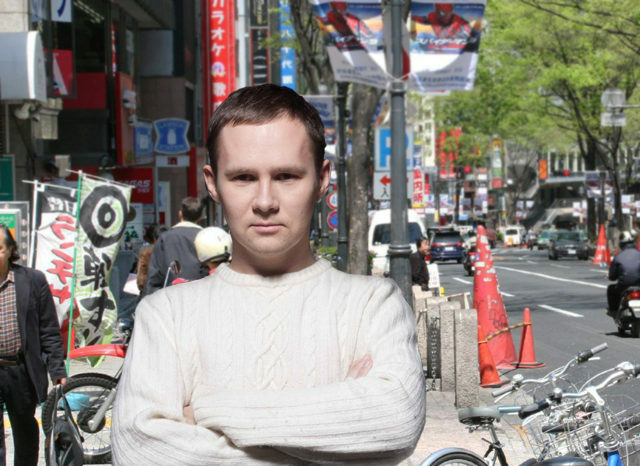 A foreign man in central Tokyo has been seen sporting an incredibly small face, sources have confirmed. “Sugoi ne! Kao chiisai ne!” said 24-year-old local Natsumi Sakimoto after first meeting the gaijin, also known as Wayne Bagley. Wayne Bagley’s face first made the transformation from slightly larger than average size to petite around four years ago during a long United Airlines flight from Los Angeles to Narita. “My face shrunk, but my manhood and ego almost doubled in magnitude,” says Bagley. Bagley says although he now has a tiny head it actually feels about 4 times bigger than its original size.